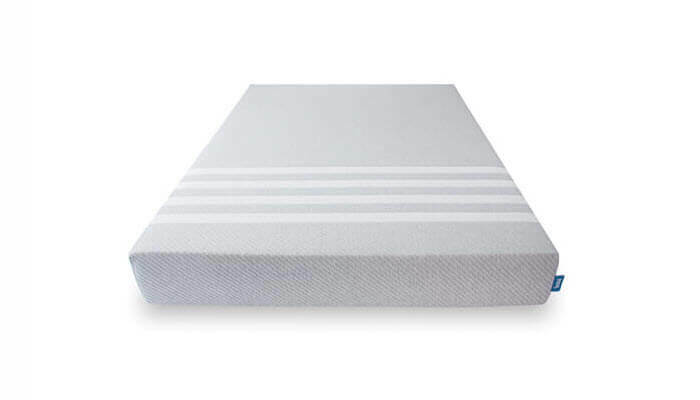 Tuft & Needle is known as one of the cheapest new foam mattress options on the market. But they’ve actually been operating in the industry for quite some time when compared to other new entrants to the market. Leesa is part of the newest wave of mattress producers that has tried to find their niche in the large American mattress industry. Both companies have done a great job of providing a luxury product at a much cheaper rate than many of their competitors. In this review, we will be pitting these two mattresses against each other to see which one is best for you. If you read all the information provided in this review, you’ll have a great idea as to whether or not these are the right mattresses for you or your partner. As mentioned previously, Leesa is one of the most recent entrants to the mattress industry in the United States. They operate primarily online, which has allowed them to cut down significantly on the amount of administrative costs they have – the savings then get passed on to you. You’ll find that Leesa has grown exceedingly popular because of their reputation for having some of the most comfortable mattresses on the market. What more can you ask for from a relatively cheap and easy-to-access mattress manufacturer. They also happen to make all their mattresses at factories inside the United States. In addition, if you order a mattress through their website, you will receive free shipping straight to your door – most mattresses come within five business days. You also get a ten-year warranty with any mattress you purchase and you can return it free of charge within the first 100 days of ownership. There’s no risk in trying out one of their great mattresses for a couple of months. Leesa is made from three different layers of advanced foam – this allows for a multitude of traits and characteristics to be felt throughout the mattress. Leesa has used some of their proprietary materials to construct the best mattress possible. We will discuss these layers in further depth below. This is made using a wonderful and unique foam called Avena. This is a poly foam that is similar to latex, but with some added benefits – namely that it is more breathable. You’ll also find that this portion of the mattress is extremely durable and responds well to years of use. This layer of the mattress is 2” thick. This layer is used for both support and comfort. It is constructed from memory foam, which is a common material in modern foam mattresses. Memory foam often retains heat, and this is why Leesa has used Avena foam on top to prevent too much heat retention in the mattress. This portion of the mattress is also 2” thick. As always, the bottom layer of the mattress is there to provide a foundation for the rest of it. This is 6” of extremely dense foam – it provides the firmness that is needed to hold up the rest of the mattress. 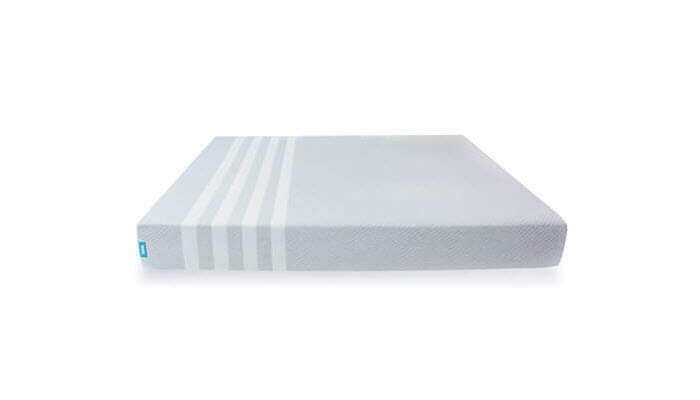 As mentioned previously, the Avena foam in this mattress is in place to provide additional qualities that you might not find in traditional foam mattresses. Memory foam has long been the primary component of foam mattresses. Tempurpedic has made this material extremely popular amongst both consumers and producers. You’ll be hard pressed to find someone who isn’t a fan of the way it feels. The only downside is that this type of foam can really retain a lot of heat. Many people find this insufferable as they have problems sleeping in a hot bed, especially in some areas of the country. Many of the new mattress providers have aimed to end this by using different hybrid materials, and Leesa is one of these companies. This has done a great job at making sure their mattress is more breathable. You’ll find that if you have trouble sleeping in hot conditions, the Avena foam allows you to better regulate your body temperature when you sleep. The Cover of the Leesa is very basic, but doesn’t leave much to be desired. It falls in-line with many of the other foam mattress covers – it doesn’t offer much in creativity but serves its purpose. The cover is made of one large piece of material which is constructed using a polyester-lycra blend. This has done a great job of creating a sturdy cover that adds support to the mattress as a whole. The thin design of the cover also means that you’re able to interact with the mattress itself as much as possible. This is a nice trait that can help you get more from your mattress without being obstructed by the cover. It’s also extremely easy to clean when needed. The Leesa mattress is known for being an extremely comfortable mattress. Many of the current owners claim the layers that provide comfort in the mattress are a nice change from the traditional memory foam that you’ll find in many competitors’ mattresses. And as we discussed before, this also is great for ensuring that you’re not retaining too much heat in your mattress. Outside of comfort, the mattress also provides decent support for those who sleep in it. If you’re not overweight, you’ll find that this mattress has plenty of support without having too much upward pressure on the body. We’ve run some tests on the mattress and determined that it provides about 6/10 worth of support when compared to other rivals. This means that it falls relatively close to the middle in terms of support. You’ll find that if you are a heavier sleeper that this mattress probably won’t give you the support you need to have a good night’s sleep. You should be aiming to find a mattress with a lot more support, otherwise you will probably feel you are sinking into the bed – this is bad for your back and your ability to sleep. Tuft & Needle is a mattress production company that is based in Phoenix, Arizona. It was started by two young entrepreneurs that wanted to disrupt the foam mattress industry. They’ve definitely achieved their goal – they were one of the first in the wave of new mattress manufacturers in the country. They produce one of the most comfortable and affordable mattresses on the market. Like Leesa, all their mattresses are produced in factories in the United States. You’ll receive free shipping when you purchase a mattress through their website. If you live in Phoenix, they also have a showroom at which you can check out some of their mattresses. You can also get same day free-delivery if you live in the city. All their mattresses come with a 10-year warranty and a 100-day money back guarantee. This layer is 3” thick, and is made completely from poly foam. You’ll find that this is one of the thickest top layers on the market. It provides both support and breathability. This is what gives the Tuft & Needle mattress its reputation for comfort. 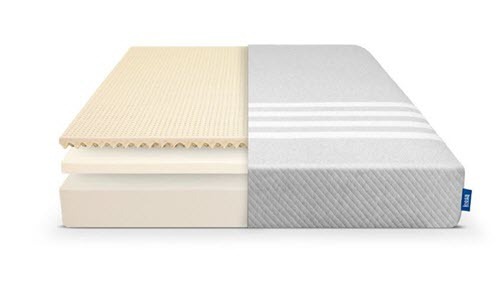 This layer is able to prioritize support because of how thick the top layer is – but don’t let it fool you, this 7” layer of high density foam doesn’t take away from any of the softness of the mattress. As you can see, the design is quite basic, but Tuft & Needle still have a reputation for having one of the best mattresses in the foam mattress market. Don’t let simplicity fool you, this is an extremely high-end product that has enjoyed considerable success in the United States. As with the mattress, the Tuft & Needle cover avoids complexity. You’ll find that the thin nature of this cover allows you to truly enjoy all the best traits of the mattress. Don’t let the basic design fool you, this is a really comfortable way of approaching a mattress cover. The thin material ensures that the overall feel of the mattress is much more breathable. It does a great job of protecting the mattress and ensuring that you don’t experience too much interference. It is also very easy to clean, which is a huge bonus in case of an accident or spill. Don’t be wooed by the sound of an expensive cover, cheaper ones are typically just as good, if not better. As mentioned previously, the Tuft & Needle mattress is extremely comfortable. Customers have been raving about how well the mattress feels, especially considering how much it costs. You’ll find that the large top layer of the mattress provides a considerably soft and comfortable point of contact. People assume because there are only two layers on the Tuft & Needle mattress that there won’t be enough support. This is untrue; the Tuft & Needle mattress provides more support than most mattresses on the market. We tested it out and it comes in at a 6.5/10. While this is a considerable amount of support, you may want a bit more if you are overweight. We really like the combination of comfort and support that the Tuft & Needle mattress brings to the table. You won’t have to worry that you will sink too far into the mattress – the mattress has an expensive feel to it, it truly is top-end. Shipping – The Tuft & Needle will show up at your door compressed in a box in 1-5 days, and the shipping is free. Warranty – Tuft & Needle offers a 10-year warranty on their mattress, which is standard for the industry. Trial – customers have 100 nights to see if the Tuft & Needle is right for them. Both Leesa and Tuft & Needle are great options for anyone that is looking for a mattress that isn’t overly supportive. They’re both comfortable and use a range of materials to provide a great sleeping experience for their owners. The amount of support that you find will be slightly more present in the Tuft & Needle mattress. Both of these mattresses prove that you don’t need an overly complex design to have a great mattress. Their covers also ensure that they don’t interfere too much with the feel of the mattress, which is a great trait to have when you have an extremely comfortable mattress at your fingertips. At the end of the day, you can’t really beat the Tuft & Needle for price. They’ve managed to create a manufacturing and distributing process that can provide the cheapest possible luxury mattresses on the market. They also provide free shipping and have a showroom in Arizona where you can test out mattresses. This being said, if you think that the Tuft & Needle might just be a bit too firm for your liking (perhaps you’re extremely light), you might want to try out a Leesa as they truly are a bit softer. Either way, you can be assured that you are receiving a top-quality mattress for an extremely cost effective price.